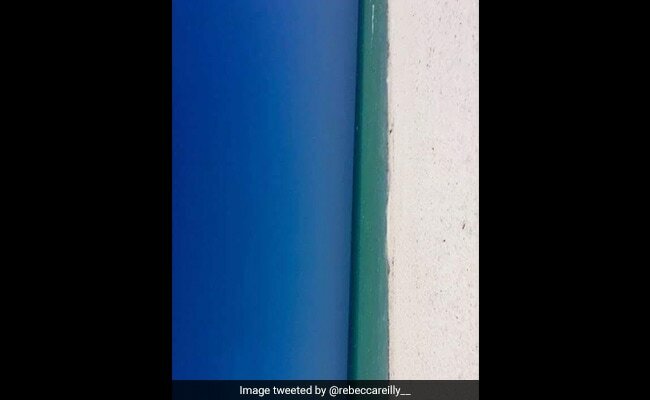 Beach Or Door, What Do You See In This Viral Pic Dividing Twitter? Is it a flipped picture of a beach or an image of a door with a green frame? What do you think the picture shows? When it comes to optical illusions, it seems like the Internet believes in the whole 'the more the merrier' concept. Just last week, netizens were left scratching their heads trying to figure out the viral hand-swapping video. As if that video wasn't enough, another confusing illusion is dividing Twitter - people can't decide what exactly this viral picture shows. Shared by Twitter user Becky on August 25, the image appears to show either a beach or a door. Twitter user Agustin had posted the same image on August 22. Both versions have gone viral and Twitter is going to town trying to figure out if they show a flipped picture of a beach or an image of a door with a green frame. Since being posted, Twitter user Becky's post has collected over 32,600 'likes' and more than 18,600 retweets. The thread on the tweet is flooded with comments. "Delete this, my mind's toooo boggled," says one Twitter user. "What part of this is meant to be a door? I'm trying to see a door but I can't," says another. "How is this meant to look like a beach?" comments a third. What do you think of this confusing picture? Tell us using the comments section.